We want Happy customers every time!! 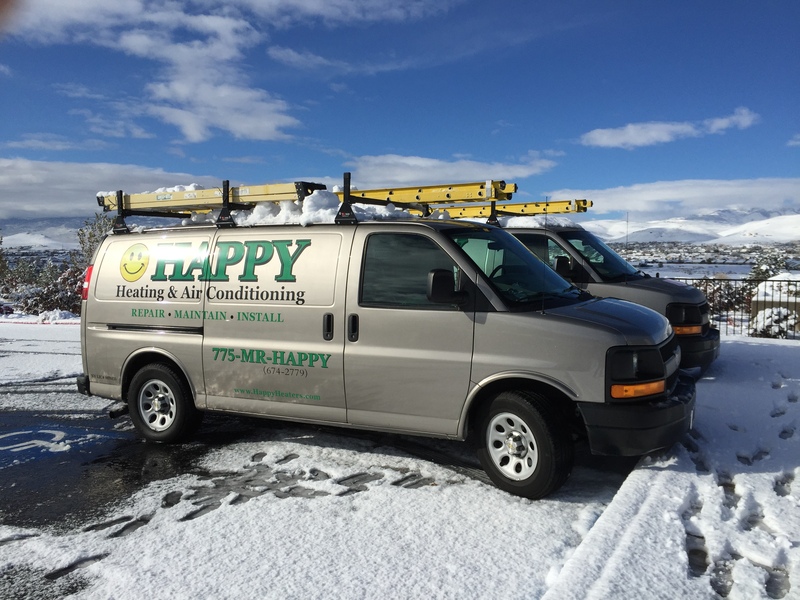 Happy Heating and Air Conditioning is a heating and air conditioning contractor that is locally owned and serves the Reno, Sparks and greater Northern Nevada area. If you need a furnace install, air conditioning repair or a heating install, give us a call to see how we can help. Our expert technicians are NATE certified and we all pride ourselves in providing the highest quality of service with every single job we do. Our experts have perfected their craft and can perform heating repairs effortlessly. We’re not just about repairing or installing HVAC systems (although we are experts at heating installs, air conditioning repairs and Reno Sparks furnace repairs). We also provide manual J duct designs, safe rooms, Sparks and Reno indoor grow rooms, bomb shelters, heat gain/loss calculations and so much more. Happy Heating and Air Conditioning has the highest-quality equipment available to roll out foryour commercial and residential needs. We also work closely with suppliers to ensure that we can get you the best possible prices on the market. Nobody wants to be without hot water! We are here to get your family back into a WARM shower! Reno water heaters have it ruff. Water in Northern Nevada is very harsh and just wreaks havoc on residential water heaters and boilers. We can repair, repair and replace most residential water heating systems within 24 hours!! Over the phone pricing available on most systems. If you have a heating or air conditioning system that wasn’t installed efficiently or optimized correctly, then it could be doing very little to maintain the temperatures in your home. We offer air conditioning repair and heating repair, as well as maintenance if it isn’t broken but could use a revamp. Our NATE certified technicians can be at hand to help you. 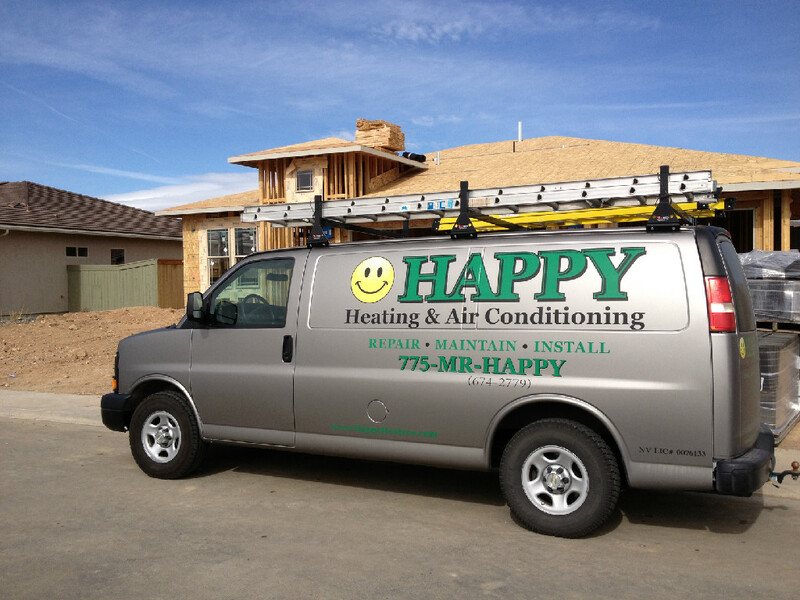 Happy Heating and Air Conditioning strive to not only meet your expectations, but exceed them exponentially. You won’t be left disappointed, regardless of what your needs might be. Give us a call or schedule an appointment with us directly from our site (You can find all the information at the very top of this page). © 2019 Happy Heating and Air Conditioning, All Rights Reserved.